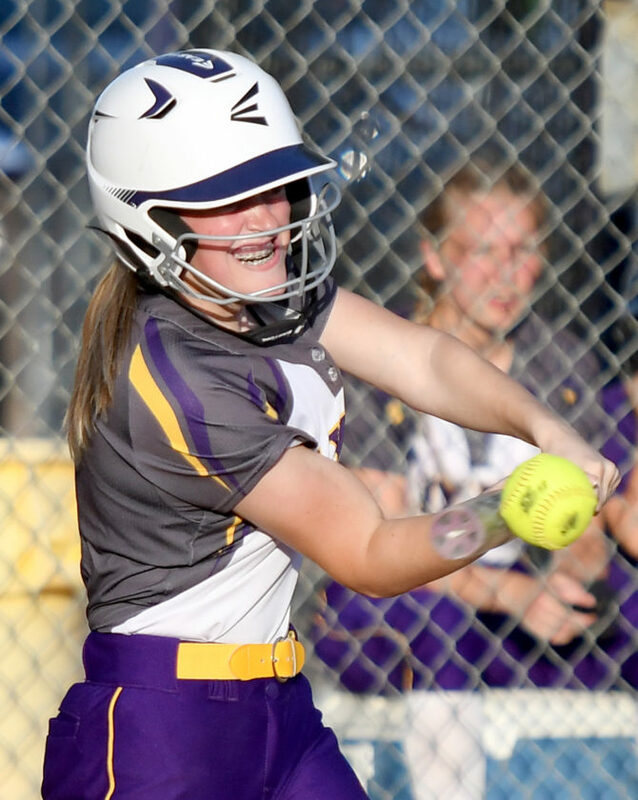 WEBSTER CITY — Erin Bahrenfuss has been connected to Webster City softball her entire life thanks to parents, Kevin and Trish, who have coached inside the program since before their youngest child was born. She’s seen plenty of the Carlisle juggernaut over the years. She’s well aware of the hitting prowess that Hall of Fame coach Jim Flaws’ teams always bring to the table, too. It can be fun to watch. It can be demoralizing to pitch against though. 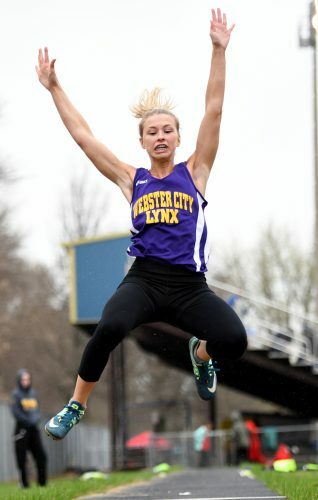 Now a senior, Bahrenfuss got her final chance to face the 13th-ranked (Class 4A) Wildcats at Lynx Field Friday night and while the outcome, a 7-3 Carlisle victory, wasn’t what the Lynx had in mind, their pitcher held her own. that led to four unearned runs and it’s anybody’s game. The Lynx finished with three more hits, nine in all, but too many missed opportunities helped to seal their fate. They stranded eight runners on back, including six in scoring position. In the first and second innings, WCHS had runners standing on second and third when Carlisle pitcher Sara Scott managed to wiggle out of danger. Six of the nine WCHS hitters collected at least one hit; Haley Flaws, Cynthia Whitehill and Leah Kasch bashed two each. Carlisle received two hits from lead-off stick Agatha Beier and Scott out of the No. 6 hole. The Wildcats also stole eight bases, led by Kennedy Preston with three. Both teams turned a walk into a run in the opening inning, but it was in the second when the Wildcats took command. A walk, a pair of singles and an error translated into three runs and a 4-1 Carlisle lead. A Beier smash off the fence in left field plated two runs, but both were unearned. Single runs in the third and fourth for the Wildcats upped their cushion to 6-1. Taylor Schnathorst rallied the WCHS bats in the fifth with a lead-off double down the left field line and she moved over to third on a bunt single by Taylor McKinney. Two batters later Whitehill sent a shot to deep center field that scored Schnathorst easily on the sacrifice fly. Carlisle got the run right back in the sixth courtesy of a Meredith Hoffman RBI double down the line in left. Hoffman joined Beier with two RBI on the night. Down to its final chance, Schnathorst and Whitehill teamed up to push one run across for WCHS. Schnathorst drew a lead-off walk and three batters later Whitehill belted a double to right field that delivered her third RBI of the contest. 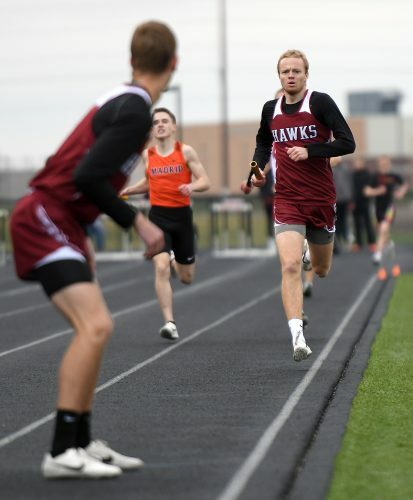 Schnathorst scored all three of the Lynx runs. Zoey Woodle added a bunt single in the second inning for the Lynx. 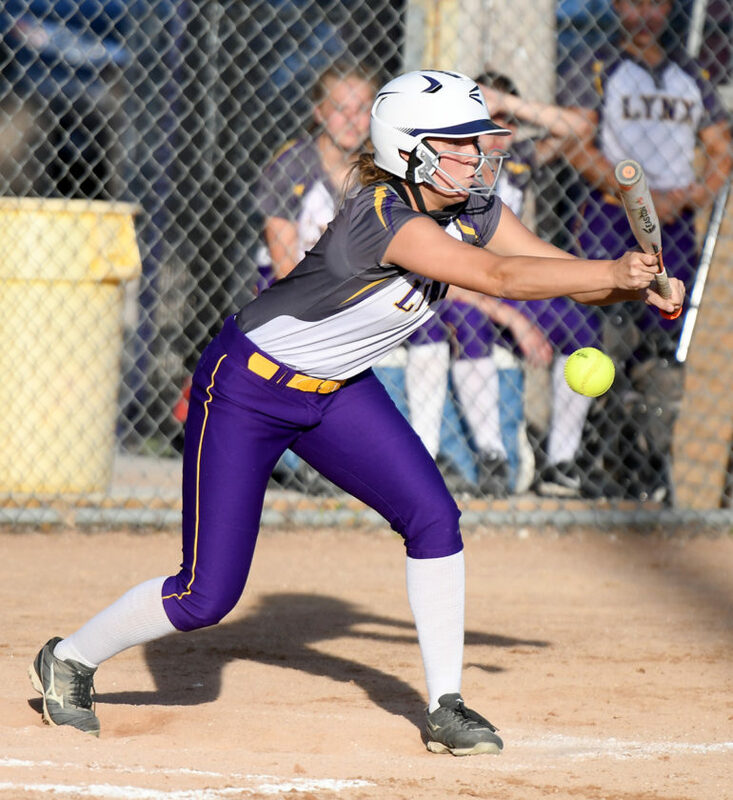 Flaws, Schnathorst and Woodle — the WCHS starting outfield — all made nice plays that kept the Lynx within shouting distance. Flaws made three running catches, including a lunging back-handed stab on a Beier floater into shallow left in the sixth inning. Later in the inning, Schnathorst tracked down a shot to deep center off the bat of Alyvia Dubois that saved a run. “Out outfielders did a great job of staying back and doing what they had to do to get us some outs,” Howard said. 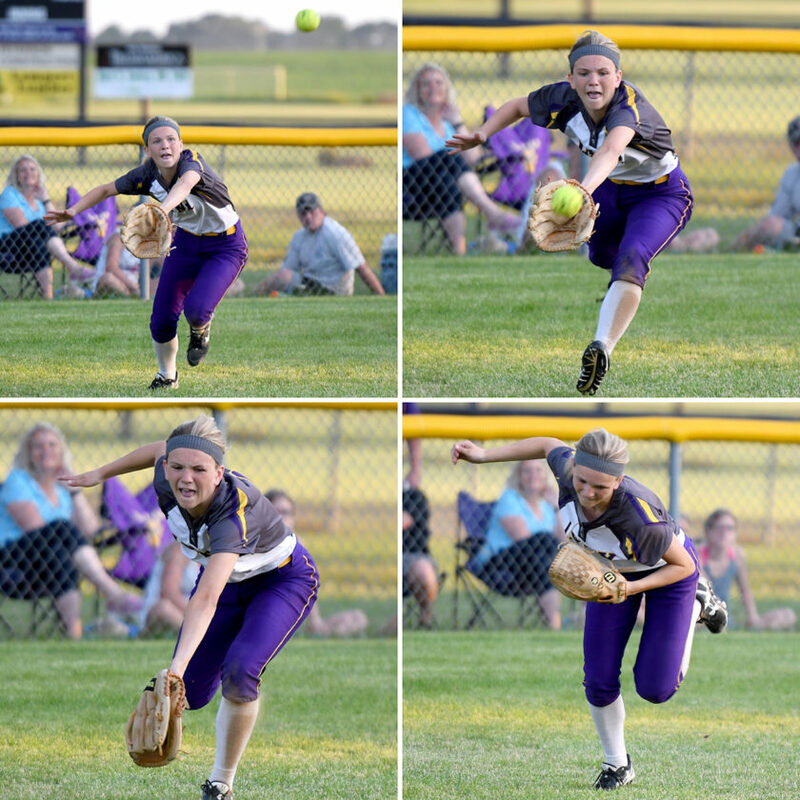 “Haley and Taylor both made some great plays that saved some runs. WCHS will return to North Central Conference play this evening with a trip to Fort Dodge to take on St. Edmond. Play from the Rogers Sports Complex will get underway at 7:15 p.m.
Molly Hoekstra, Sara Scott (1), Ashlynn Williams (7) and Agatha Beier. Erin Bahrenfuss and Cynthia Whitehill. W — Scott. L — Bahrenfuss. 2B — CAR: Beier, Meredith Hoffman; WC: Whitehill, Taylor Schnathorst. 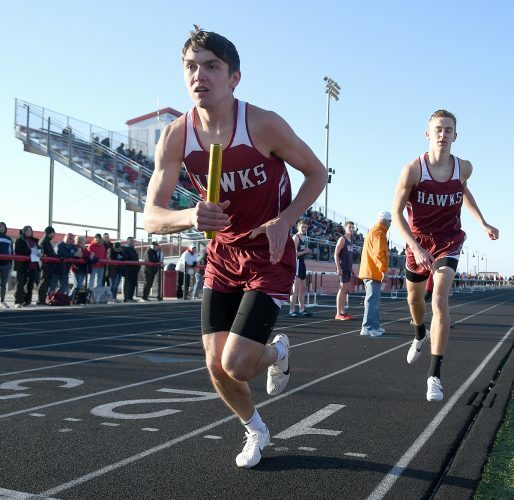 RBI — CAR: Beier (2), Hoffman (2), Scott, Delaney Schnathorst; WC: Whitehill (3). 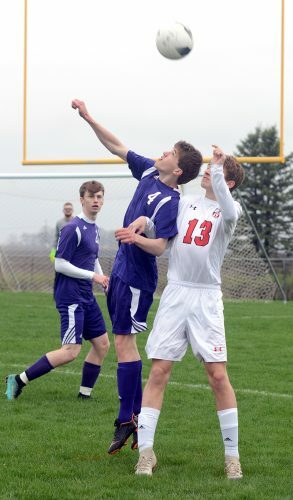 LYNX LOSE TWO AT OWN TOURNEY: A pair of ranked teams took it to Webster City and pushed the Lynx losing streak to four games on Saturday in Webster City. No. 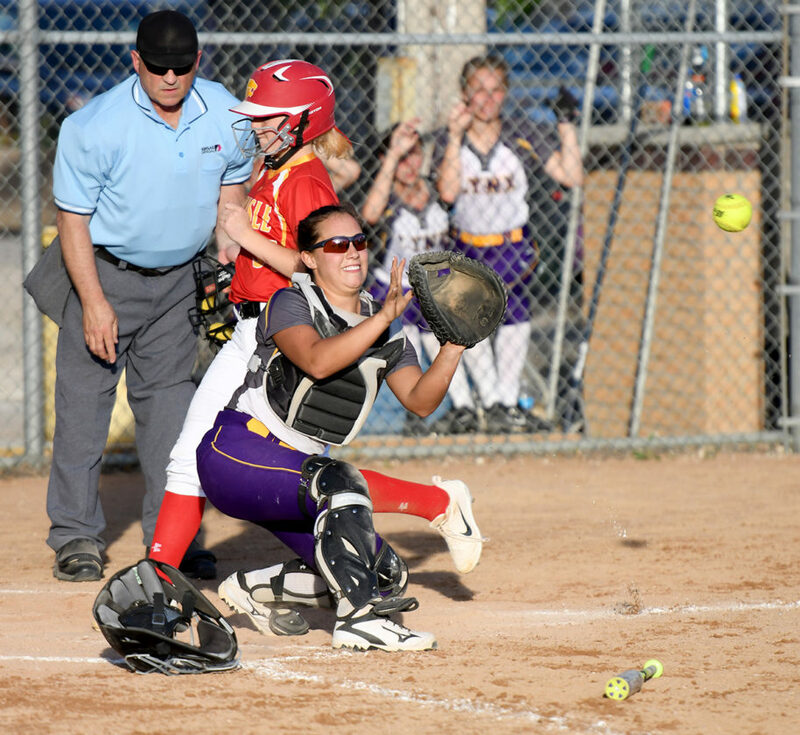 14-ranked (Class 3A) West Marshall knocked off the Lynx, 10-0 in five innings at the Webster City tournament, and No. 3 (1A) Martensdale-St. Marys followed with an 11-3 rout. The Lynx two opponents are a combined 27-1 on the season. West Marshall (14-0) received a no-hitter from pitcher Kallie Malloy, who finished with three strikeouts. The Lynx (2-7) lone base runner was Leah Kasch, who drew a walk in the second inning. Trojans’ catcher Georgia Porter had a double and three RBI off Lynx hurler Erin Bahrenfuss, who took the loss. 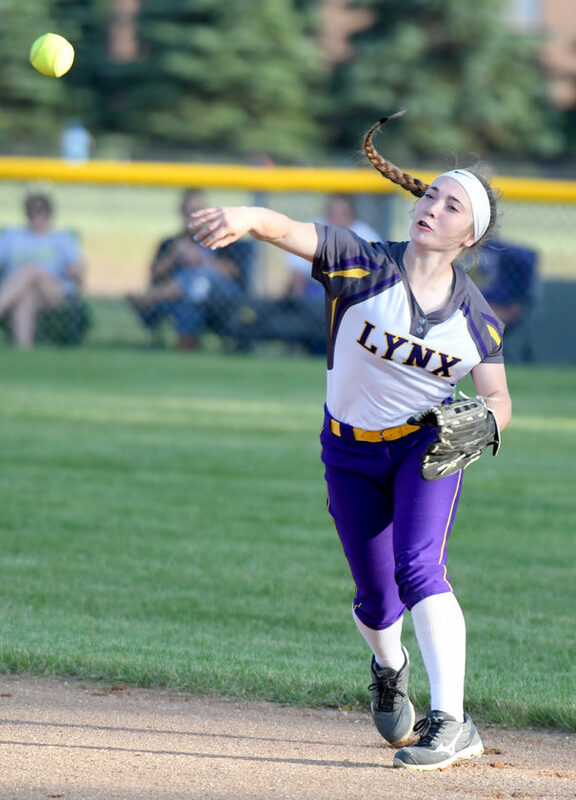 Martensdale-St. Marys (13-1) unleashed a six-run first inning off WCHS starter Atlanta Hopp, who was replaced by Jenna Miller before the frame was finished, and the Lynx never got closer than five runs the remainder of the way. Kaitlynn Seeley, the starter behind the plate for WCHS, went 2 for 3 at the dish in the loss. Taylor Schnathorst and Zoey Woodle added singles. Kaci Sherwood fanned nine in the circle for MSM. Miller struck out two. Kallie Malloy and Georgia Porter. Erin Bahrenfuss and Cynthia Whitehill. W — Malloy. L — Bahrenfuss. 2B — WM: Porter. RBI — WM: Porter (3), Brooke Snider (2), Malloy, Katie Price, Kayla Cripps. Kaci Sherwood and Brinley White. Atlanta Hopp, Jenna Miller (1) and Kaitlynn Seeley. W — Sherwood. L — Hopp. 2B — MSM: Sherwood. RBI — MSM: Sherwood (4), Hannah Sweet (2), White, Alayna Olson, Madeline Meyer, Maddy Stott; WC: Taylor McKinney.